The Cast Of Cheers ‘sort-of’ (i.e. on a label for the first time) debut album comes out today. This is old ground on Horses Playing Harps, but it’s still a great story. An album they recorded a couple of years ago in a few days > available on the bandcamp website for free > shitloads of downloads > signed up sharpish. So it’s difficult to know what to call Family by The Cast of Cheers. From listening to it this week, it’s clear we should be referring to it as their second album, because it’s a gentle evolution of sound from Chariot, the aforementioned free album. It’s still spiky, sharp and melodic math-rock in places, but it’s all reigned in a little bit more than on the previous album, and this is a sound that works for them. Whereas Chariot was quite prickly and jagged, Family feels like it has had more time to rest and mature, with slow-burning poppish elements seeping into the sound, making this album feel like a real keeper. It feels like they have tamed a tiger. Sure, its claws are filed down, but it’s still capable of giving you a decent brawl, and therefore all a little bit more lovable because of it. 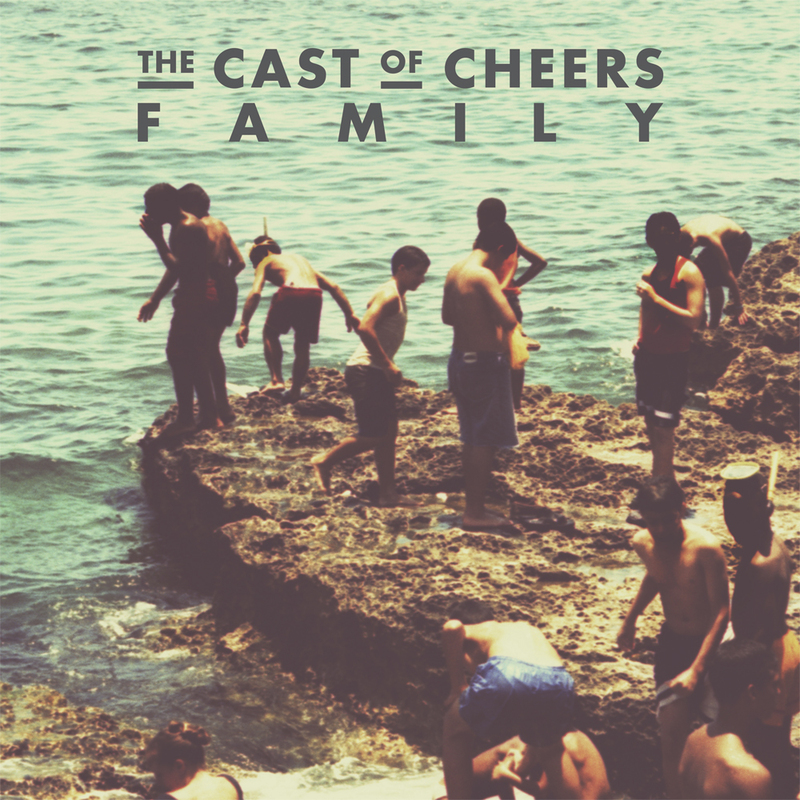 Opening track ‘Family’ is a loopy and fretful template for The Cast Of Cheers sound, before the softer and more thoughtful ‘Posé Mit’ shows off their musical prowess with a calmer catchyness displayed. ‘Goose’ is the perfect case-in-point. It’s the only track to make the journey from Chariot to Family, but it feels and sounds like it has had time to settle and gestate, with everything sounding more polished and primed. As it descends into the franticness of the bridge, the yelpy verses feel as if they are counterbalanced more expertly with the jagged guitar riffs. While the raw energy of Chariot was admirable, this well-rounded approach feels fuller and more rewarding. Family feels like the complete package. If you come to this band as a new listener, it’s simple enough. It’s polished, it’s catchy-as-hell and it’s a lot of fun. More fun than fighting a wild tiger anyway. But hey, if you want to do that too, make sure you check out Chariot too. The Cast of Cheers’ story is one of those that re-affirms the exemplary qualities of the digital age of music and helps to embody the glorious power of the internet. In 2010 they recorded their debut album Chariot in just a few days. It was only put up onto the excellent BandCamp website to download for free just as a place for friends of the band to get a hold of it . Word-of-mouth spread as it so wonderfully does, and soon enough the album had been downloaded an enormous amount of times, and The Cast of Cheers found themselves to be the first ever download-only nominee in the Choice Music Prize Shortlist last year. A label picked them up, and so an official ‘debut’ album (with a price tag and everything) is forthcoming in June. The live show is something that has been referred to with quite some reverence in the world of the blogosphere, and so a pretty epic line-up of The Cast Of Cheers and Blood Red Shoes hit Oxford last Sunday night. A blitzkrieg of new songs were shredded through with energy, passion and a bundle of switching time signatures. While the tracks from Chariot are full of sharp, pointy energy , the new tracks feel fuller, warmer and more rounded. I guess that’s what comes with being able to be in a band as a full-time job. They opened with a track which I’ll make a stab in the dark and say it could be called ‘No Rest In The West’. There’s such a fervent energy to this band’s live presence. As with many of their tracks, there are time signature changes a-plenty, with sharp Foals-like fretwork riding over a mixture of electronic and normal drum beats. Everything eventually crashes into each other into a riotous blizzard of noise, but it works so damn well. There’s a lot of love for bassist John Higgins who helps provide the musical walls for the other instruments to bounce off. He does this tremendous shoulder-shuffle move when playing the bass which is part Brett McKenzie in Flight Of The Concords and part Walk Like An Egyptian. When guitarists Conor and Neil Adams get down to some insane fret work (which is pretty often) he’s shuddering around the stage as if the bass is rattling up his spine. It seems like such a ridiculous thing to say, but it’s such a pleasure to see a band enjoying playing their music live so much. New single ‘Animals’ shows off their more poppy moves; it’s a sound that really works for them as they retain those glorious angular riffs, but they feel as if they’ve been sanded off to fit snugly within the song structure. Auricom sounds phenomenal live; there’s a gradual build-up towards a gloriously math-rock breakdown, accompanied by the keys jagging across those spine-shuddering bass lines. The Cast of Cheers are a perfect warm-up band, and that’s not to say that that’s where they will stay, but they are such an infectious and inspired band to watch; so much so that a crowd who in theory are mostly present to watch Blood Red Shoes headline can’t help but dance along. The new album sounds like it is gloriously exciting and bursting with ideas, and the live show just brings all of that recorded energy to life. I’m in quite a list-tastic mood right now, so following on from HPH’s top 10 albums of 2011, it makes sense to have a little look ahead. Well, as the post-dubstep genre continues to fire off into every possible direction, we have some interesting things to look forward to. 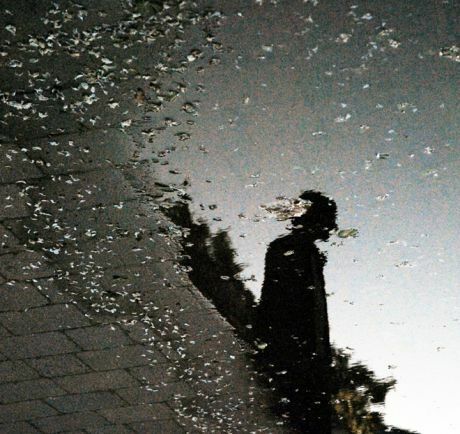 First and foremost, there will be brand new Burial LP out early next year, which is so exciting it makes my brain want to explode. His little ‘Street Halo’ EP earlier this year was brilliant, but just too short for my greedy desires. So the opportunity to fall head first into the first Burial EP for around 5 years is beyond exciting. I think it’ll be a big year for producers in general. After seeing the success of SBTRKT this year, moving from dishing out the odd track here and there to a brillant debut full length LP, I’m hoping to see more artists follow in his footsteps. Firstly, will Totally Enormous Extinct Dinosaurs continue dishing out 3/4 – track records? A full length record could really help Oxford’s-own Orlando Higginbottom etch his music further into people’s skulls. Secondly, I really hope 2012 sees a lot more music from Jacques Greene. He’s such a talented producer, I’m pretty much just dreaming of a beautiful LP landing in my lap from the skies. In the meantime, we can just keep listening to what he’s done so far. So here’s ‘Another Girl’ by Jacques Greene. Finally, there are a few more bands currently floating about in that pre-first-album fuzzy landscape. Various Cruelties look set for big things next year, Chemicals is an excellently executed track and excites me with regards to what else could be coming from them. Polarsets are another band that have been on my radar for a while since they popped up on a Kitsune compilation I reviewed several months back for Culturedeluxe. I described their track Sunshine Eyes as: “Indie dance at it’s best,” and everything else I’ve heard from them since is equally as good. Another helping hand from Kitsune led me to the excellent The Cast Of Cheers. Angular, Foals-esque fretful riffage leads the way here. The band recorded their debut album back in 2010 and stuck it up on bandcamp for free, but it’s now sadly disappeared from there. Hopefully 2012 will see more from them. And two more bands to end on. Clock Opera seem to have been teasing us for an eternity with a wealth of great singles. A debut LP is on its way next year, apparently. They’ve also thrown together some brilliant remixes too, including a reworked version of Everything Everything’s MY KZ YR BF. 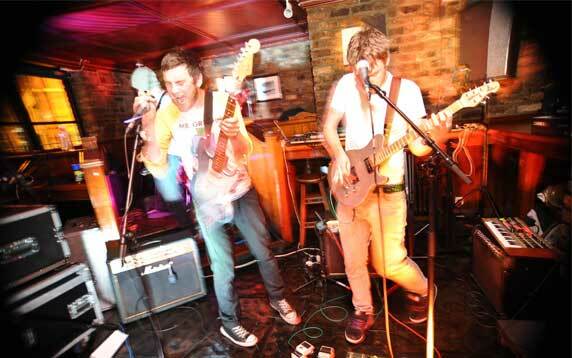 The Heartbreaks make fantasticly Byronesque indie rock music. They’ve got a great vocalist with great lyrics, catchy riffs and I have absolutely no idea if they have a full-length debut out next year, but it’s about time they bloody well did!